Paul Krugman’s recent article in the NY Times is a weak attempt to convince those who have been led astray by our “fossilized political system” that solar power is somehow becoming a rising star of reliability since, as he claims, it is now “cost-effective.” This pipedream is of course followed by a casual alarmist condemnation of hydraulic fracturing (“fracking”). 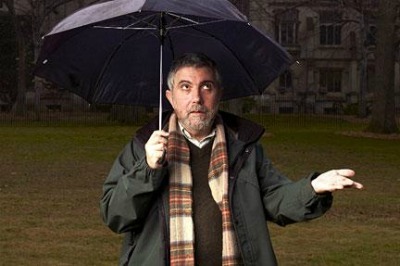 It seems Krugman has gotten a little too solar-happy based on his overt distortion of both solar and fracking facts. “Solar-panel prices have come down sharply, it’s true, but the reason is not big efficiency gains. Under Moore’s Law, computer chips doubled their capacity every 18 months. It took 25 years for commercial solar panels to double their efficiency to today’s 10% or so, and no “transformations” appear to be in the offing. Solyndra went bankrupt because its panels, with 12% efficiency, couldn’t be delivered at a competitive price. There you have it. So much for Solyndra’s shot at a success story. Beyond Jenkins’s outline of why solar doesn’t work, solar energy has inherent inefficiencies that are impossible to circumvent in an economically sound way. According to the U.S. Energy Information Administration, of the 8 percent of renewable energy sources consumed in the U.S., solar comes in last, providing a 1 percent of the total energy consumed in the U.S. Though the capacity for solar electricity has increased in recent years, it faces multiple hurdles to become a stable source of energy. The Institute for Energy Research points out that because solar power is available only when the sun shines and varies with the seasons of the year, reports on how solar units can generate enough electricity to serve a large number of homes are deceptive. Since a solar energy is so unreliable, dispatchable generators (usually fossil-fuel) are required to supply back-up power to the system. Solar power also much more land intensive than fracking, along with any fossil fuel production, producing far less energy per acre than oil, gas, or coal. “Though solar technologies are improving, meeting current U.S. electricity needs with today’s photovoltaic (PV) technology would require about 10,000 square miles of solar panels—an area the size of New Hampshire and Rhode Island combined. Moreover, if PV power is established in those areas of the country like the desert southwest where sunshine is abundant, consideration must be made for transmission lines as well as the “line loss” that accompanies electrical transmission over great distances” (Instituteforenergyresearch). Like most renewable resources, solar is often available only in remote areas, so building transmission lines to deliver power to large metropolitan areas is expensive. Thus, solar power’s “environmental footprint” is much bigger than is the case with hydraulic fracturing. Fracking utilizes the efficient technology of horizontal drilling, which allows access to multiple shale gas deposits from a single drill pad. Now, half as many wells are required to produce the same quantity of energy as 20 years ago. The size of a drill pad ranges anywhere between 3 to 5 acres and the land is reclaimed after the drilling is complete. Horizontal drilling is what allows shale gas to flow from the shale formation at high enough rates to justify the cost of drilling. As for Krugman’s comments on drinking water contamination caused by fracking: they are groundless. Though the flowback water of fracking results in wastewater, there is still zero evidence that the process of fracking has contaminated the aquifer. Many experts have claimed that since fracking requires such deep drilling, it is virtually impossible that fracking chemicals could reach the water table. As you can see, solar power is anything but cost-effective, which gives credence its complete dependence on taxpayer subsidies and government renewable-resources mandates in order for it to survive. And if a solar can’t make a go of it with $535 million dollars, I think it’s safe to say the sun is setting on an American future of solar sustainability. What is bogus about it? Only bogus thing may be the leftist ideology that cannot handle truth. I don’t know why you are so down on Solar. It is a great way to con the public out of funds which can be used to slosh into the Obama campaign chest, get big bonuses before bankruptcy and create hopes for sustainable energy. That in turn helps squelch North American pipeline development which would help us end out dependence on imported mideastern oil. Seems like a win-win for the Barry crowd all the way around. Solar is by nature intermittent. It will never flourish until a big breakthrough in storage battery technology is achieved. See data on Rare Earth minerals.